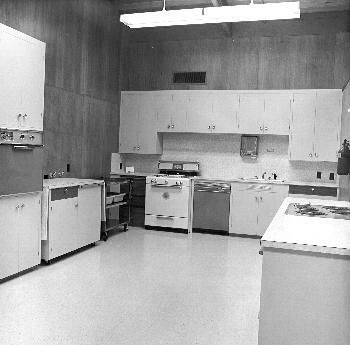 The kitchen at the Ag Center was a hubbub of activity with food preparation and preservation classes. 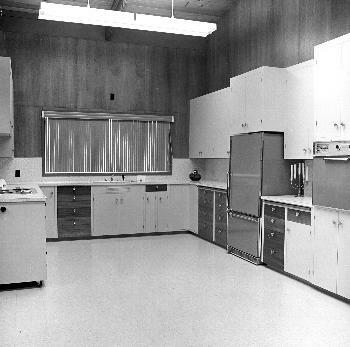 The kitchen laboratory in 1960, shortly after the Agricultural Center in Eureka was built. Another angle of the kitchen laboratory. 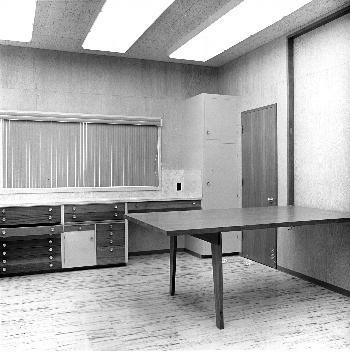 The clothing laboratory in 1960. Today it serves as the sudden oak death lab. 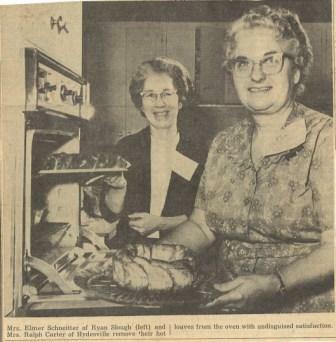 Mrs. Elmer Schneitter and Mrs. Ralph Carter hone their baking skills. 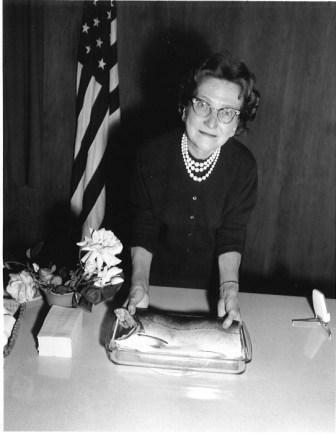 Home Advisor Mrs. Ruth Crawford presents how to properly prepare fish. 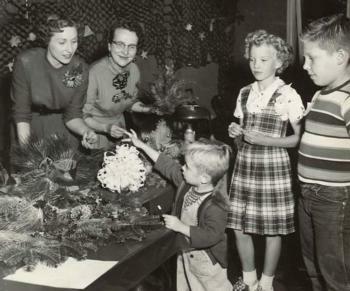 Home Advisor Ruth Crawford and Home Advisor/4-H Advisor Coral Kay "Corky" Beckman display Christmas decor made from local trees in 1955.